Playtime with your child’s 18-inch doll just got more exciting with Fin Fun’s doll tail set in Rainbow Reef! Vibrant rainbow scales in swimsuit fabric bring this design to life! Doll not included. 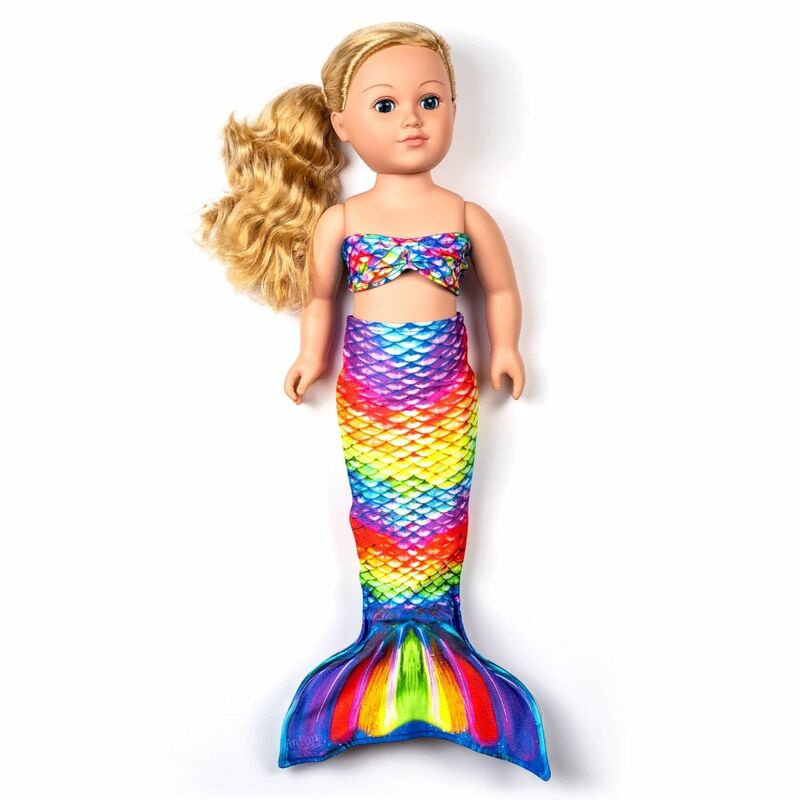 Kids’ imaginations will run wild once you add a mermaid doll tail set in Fin Fun’s lively Rainbow Reef design to their doll’s wardrobe! Featuring the same swimsuit fabric and colorful design as the full-size mermaid tail collection for toddlers, kids and adults, our doll tail line is simply spectacular! Kids can instantly transport their dolls to far off oceans and islands when dressed in these look-alike sets for dolls, available in a variety colors and designs!